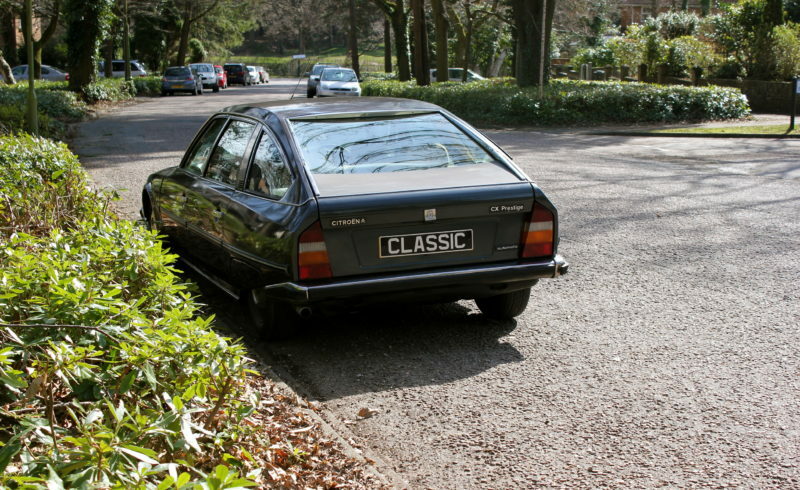 Here we have a very rare series one Citroen Cx Prestige which is the Luxury long wheel base version of the CX. The extra legroom, luxury features and super smooth ride attracted businessmen/women and dignitaries alike!! There is thought to be only a handful of these cars left on the road and the dvla database shows that there are only 2 Citroen Cx prestige auto’s in the UK and this is one of them!! 2 folders of very extensive service history, the original hand book and a work shop manual. With only 2 owners, the last owner had the car in his possession since the car was one year old!! 27 years of ownership and always garaged. It has been sprayed in the past (Storm Grey) and the paint work is starting to show its age. It does have the odd bit of rust here and there so could do with being tidied up. The interior is a bit tired in a few places with some rips here and there. A very useable classic car which will only appreciate over the coming years. It turns heads where ever you go with its futuristic styling and Spaceship style interior. The Citroen is in excellent running order with the hydropneumatic Suspension working just as it should. Powerful 2400cc engine with 138 bhp has plenty of power and cruises along with ease. It has 12 months Mot and is taxed until end of may. Any questions, Please feel free to ask we would be more than happy to help.